This last week was an eventful week for CNM and for me personally, marking the Homecoming ceremony as an opportunity for meeting staff, students, faculty and alums. What was most amazing for me at this weekend function was the strong sense of family and camarederie that filled the airs. Having the opportunity to meet so many students and alums was amazing. This year, the homecoming event was opened with a “community batik” painting activity. With this activity, those of us who are artistically blessed and also those of us who are simply brave to try out anything painted the batik together, filling in the painting with vibrant colors and our creative imaginations. The product was truly amazing, pictured in the photograph above. Thank you to all those involved including our amazing graduate students and staff for all your hard work in pulling the event together so nicely! This also is a time for celebrating all the achievements of our colleagues. Sun Sun Lim, Y. H. Chan, Shobha Vadrevu and Iccha Basnyat published their paper titled “Managing peer relationships online – investigating the use of Facebook by juvenile delinquents and youths-at-risk” in Computers in Human Behaviour. Alex Mitchell and Kevin McGee got their paper “Reading Again for the First Time: A Model of Rereading in Interactive Stories” (based on some of Alex’s thesis research) accepted for presentation and publication at the International Conference on Interactive Digital Storytelling (ICIDS) 2012 in San Sebastian, Spain in November. Anne Marie Schleiner has a book chapter publication titled “Playing the City” from a chapter of her dissertation that will be coming out of a June conference on Citizen Science, Play and Politics at Utrecht University in the Netherlands. These are all amazing achievements and I am delighted to share them on this blog! Please keep these stories coming so I have the opportunity of sharing your successes! I have always believed that great research goes hand in hand with excellent teaching and mentorship. Talking about mentorship and excellence, Cheryll Soriano successfully defended her PhD thesis titled “New Media and Political Mobilization: The case of online mediation of minority groups in the Philippines.” Congratulations to Cheryll and her advisor Dr. T. T. Sreekumar. I thoroughly enjoyed having the opportunity to sit in on the conversation and it was a treat to read through the complex layers of sophisticated analyses that came alive in the dissertation. As the semester gets closer and you all start returning home, I look forward to meeting you! Please drop by or just simply drop me a note! As many of us are back, let’s get started with our Friday informal lunches that are such a great part of our Department culture! Please plan on joining us at the conference room starting this Friday at 12:30 p.m. Do bring your lunch, and all the fun stories of summer travels! Chocolates and sweets, as always are welcome with enthusiasm! 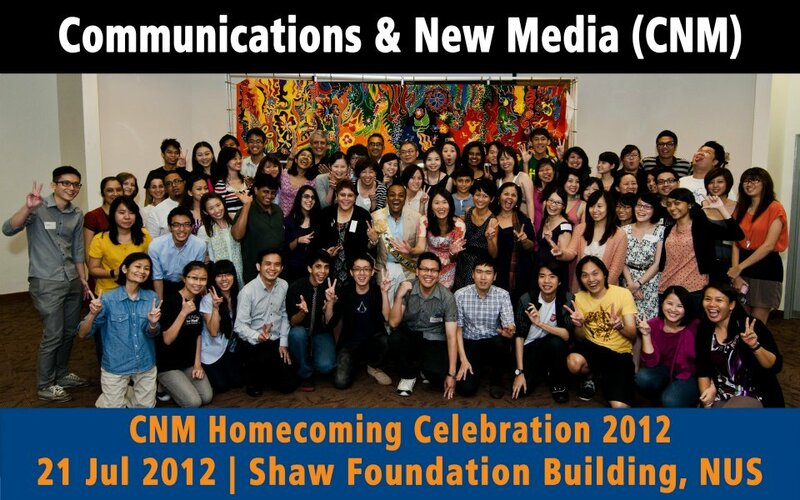 This entry was posted in Homecoming 2012 by cnmhead. Bookmark the permalink. Thanks Mohan for referring to Cheryll’s accomplishment in your blog post. We have been privileged to have Millie, you and Manjusha in the thesis committee. The discussion today brought up some interesting issues for future research and all the discerning observations from the committee are well taken. Cheryll has benefitted immensely from the written comments of her examiners and personally for me it has been a delightful experience mentoring her. I must say I probably learned more from her than what she could have gathered from our conversations. I wish her a long and fruitful academic career as a researcher and teacher, two interconnected domains where she has proven her indisputable excellence. Thanks, once again.